Upon my very first trip to Berlin as a tourist, those who have already been had told me ”it’s a hipster city”. I wasn’t sure what that meant, so they said: ”you’ll see for yourself once you get there.” While I still wouldn’t know if this description is in place, what’s for sure is that the German capital certainly has a unique flair, and like any other metropolis of its size and diversity, it has a lot to offer. 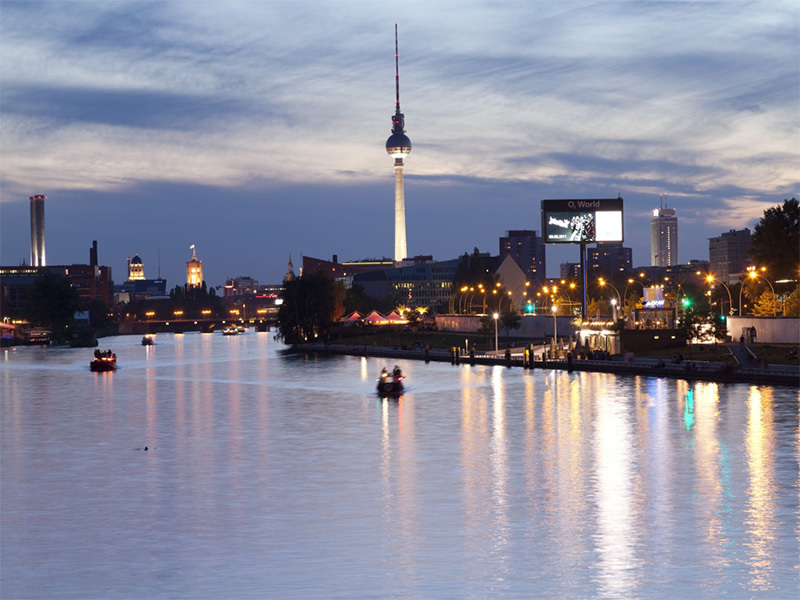 As a place that has risen from the ashes of the wars into becoming one of the most creative hubs in the world, Berlin truly is all about art and culture, ready to meet every need and satisfy every taste. Based on turbulent history but with a firm look toward the future, it has proved to be a fine host, and as a Berlin tourist, you can visit a great number of sites that attest to both. What’s also true is that even the most mainstream things to see and do are also “hipster” at the same time, which simply makes the entire city one great playground to be discovered and enjoyed. Naturally, when one decides to visit a certain place, they’re interested in its attractions, cultural life, shopping, events, different ways to get around. Berlin, of course, doesn’t lack interesting content at all, so even if you’re an “alternative” tourist, you should still probably start with the city’s sightseeing trademarks, such as the iconic Brandenburg Gate, the Reichtag, the Museum Island or Checkpoint Charlie. So, let’s get started! What Arc de Triomphe is to Paris, the Brandenburg Gate is to Berlin, as its most recognized monument and a historic site. Standing tall on Pariser Platz, the gate was loosely modelled on the Acropolis in Athens in 1791, and it used to be one of the old gates leading into the city. After the fall of the Wall in 1989, it became a symbol of unity. As the most visited parliament house in the world, the Reichstag was rebuilt in 1871, when the country faced the need of a larger building due to the proclamation of the German Empire. In 1933, most of it was destroyed by fire, and its last renovation dates to the late 1990s. Why would anyone visit a government building, you ask? 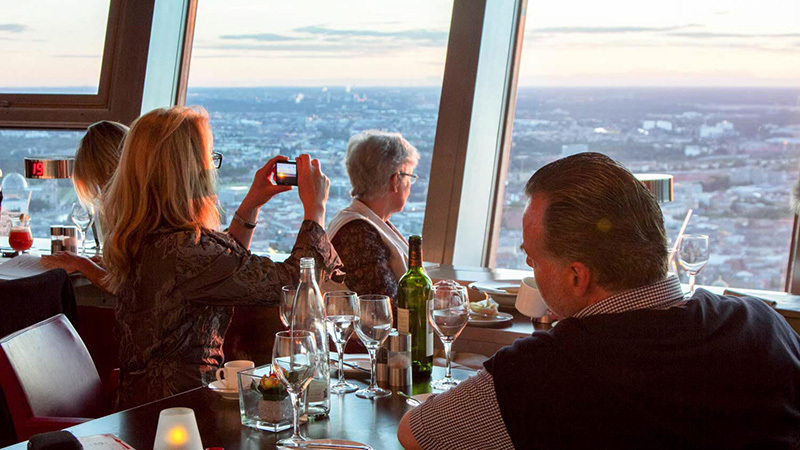 Inside, instead of a classic Kuppel, you will find a spectacular glass dome which offers superb 360 degree view of the city. But beware, as you need to book your visit in advance. With a daily pass of 18€, you can check out all five facilities of The Museum Island – The Old Museum, which houses the Crown Jewels and other royal treasures, the New Museum and the Old National Gallery, with its collection of 19th century paintings, the Bode Museum, one of the city’s finest collections of antiquities, and The Pergamon, showing reconstructed historic buildings from the Middle East. Finally, faithful to its original appearance, Checkpoint Charlie was one of the crossing points between the two sides of Berlin during the Cold War. With a little watch-house and the flags of the opposing sides, it certainly makes you feel like you’ve gone back in time. There are also two big photographs of a US and a Russian soldier, silently staring as passersby. At Checkpoint Charlie, you can get passport stamps from both former sectors as a souvenir. 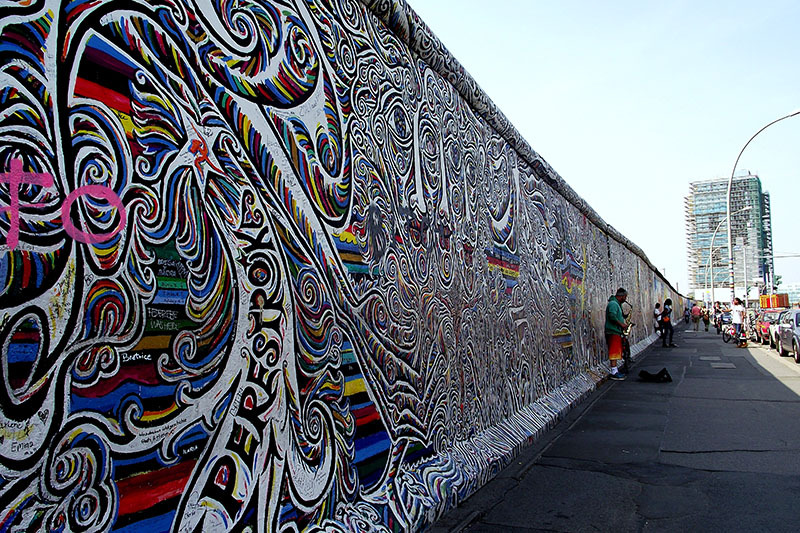 We certainly can’t skip the infamous Berlin Wall, an important part of German history between 1961 and 1989. Four meters high and 155km long, it dissected 55 streets and possessed 193 observations towers and 57 bunkers – all to stem the flood of refugees from East to West. While most of it is now represented by the cobblestone path you often come across while walking between the former two sides, there’s roughly 1.3km of the wall still standing in its original construction. This strip is called The East Side Gallery, and it is preserved as a memorial to freedom, covered with graffiti and art. That Berlin is one cool town is something that you, as its visitor, will get constantly reassured of. Just think of Tempelhof, a former airport that has been repurposed and is now used for all kinds of leisure and recreation activities. Why not walk your dog, ride your bicycle, or jog on a proper, smooth, large runway? The particular atmosphere is further emphasised by the terminal building that is still there, but luckily no planes are flying above your head. The German capital is very proud of its parks and gardens – fairly close to the Brandenburg Gate, there’s Tiergarten, one of the city’s biggest parks that used to be the king’s hunting ground, as it was full of wild animals. And because it’s so big, it’s a perfect runaway from the noise and the urban landscape, like an oasis enclosed by tall green trees and green spaces to sit on and breathe it all in. If it’s a Sunday, you might wanna head out to the usually packed Mauerpark, a favourite hipster playground (there’s that word again!) to which people come to barbecue, have some beer, listen to impromptu music and visit the nearby flea market. As this metropolis in particular is justifiably considered the mecca of street art in Europe – and beyond – a typical Berlin tourist, who also happens to be a fan of this form of art, should definitely not miss going around Friedrichshain, a neighbourhood filled with old warehouses turned into cafes and art galleries. Did we mention there’s urban art everywhere? Getting around Berlin on a bike is perhaps the best way to do it. The city is flat and very biker-friendly, with hundreds of kilometres of lanes that are almost as common as sidewalks. Renting a bike will amount to 10€ at most rental places, and you can also go on a Bike Tour and visit the abovementioned sites on two wheels. Of course, there’s also the Alternative Bike Tour, which will take you through most vibrant and culturally diverse neighbourhoods of East Berlin, across the River Spree to the districts of Kreuzberg and Neukölln. And speaking of the River Spree, one of the two large rivers dissecting the city, naturally there would be cruises and boat trips, for a breezy view from above the water. Depending on the size of the boat, time of day/year and the length of the tour, the prices range from 12€ to 43€ for the individual ticket. They say you haven’t truly been to Berlin until you’ve had the Currywurst. 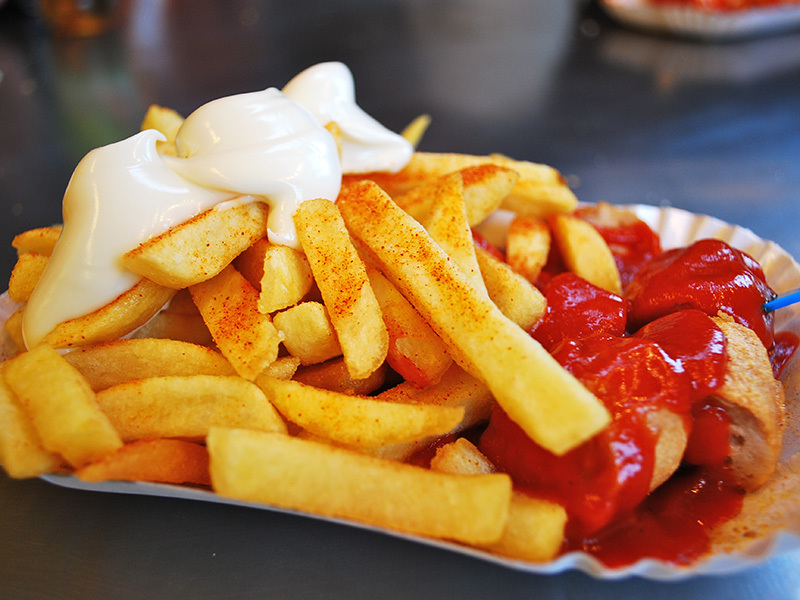 Germany’s favourite sausage is served on the street and at dedicated joints, accompanied by ketchup and curry powder in a delicious combination and sided with fries. Add to that a bottle of local beer and you got yourself a traditional Berliner fast food snack. As the Turkish population is quite a large one in Berlin, it’s likely that you’ll run into a kebab place more often than you’d think. Do not hesitate to stop by and get a döner – or, of course, a yummy falafel if you’re a vegetarian. Giving Turkish sweets in Turkey a run for their money there’s also the traditional baklava or sutlac, as a treat that will seal the gourmand deal. Last but not least, there are plenty of hotels and restaurants that will make your tourist stay in Berlin even more pleasant. Here at Berlin Street Art, we’ve already reviewed some of the best places to spend the night in the German capital, such as the hip hotels in the neighbourhood of Kreuzberg, or those located in the very central Mitte area. As you’re in the city of art, you also might wanna check out the coolest art hotels out there – have a good night’s sleep surrounded by artworks! 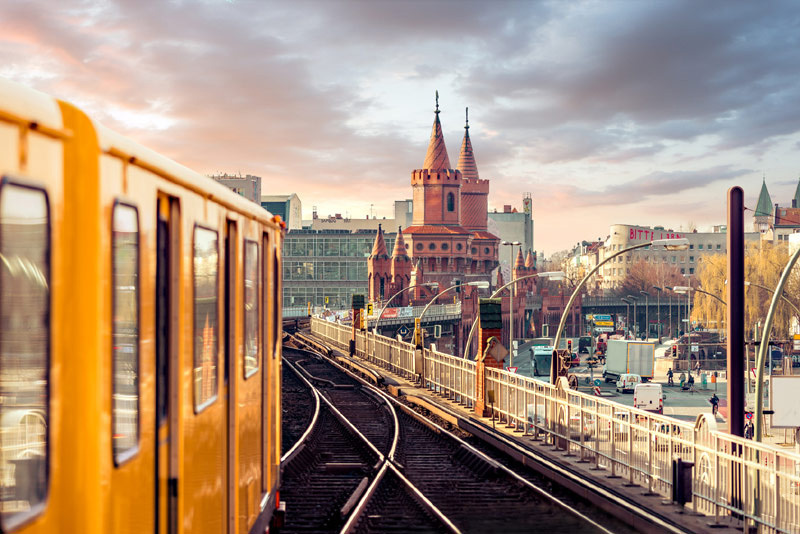 When it comes to dining, the Mitte area can also offer some of the finest restaurants you’ve ever been to, but don’t forget to also check out the particularly interesting clubs and bars of neighbourhoods like Prenzlauer Berg, Friedrichshain, Kreuzberg, Neukölln and Schöneberg.